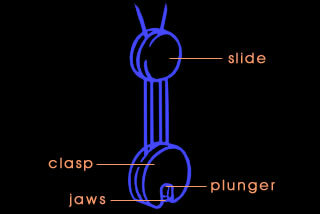 Clasp: Attach instrument ring by pushing against jaws, which close and lock automatically—held by a tension spring. Unlock by pushing ring backward against a hidden plunger, opening jaws. Remove with sideward or rolling motion while ring is against plunger. These actions can be accomplished in a fraction of a second. Slide: Ease of After the proper length is determined, it is held firm from slipping, even when the tension is removed. 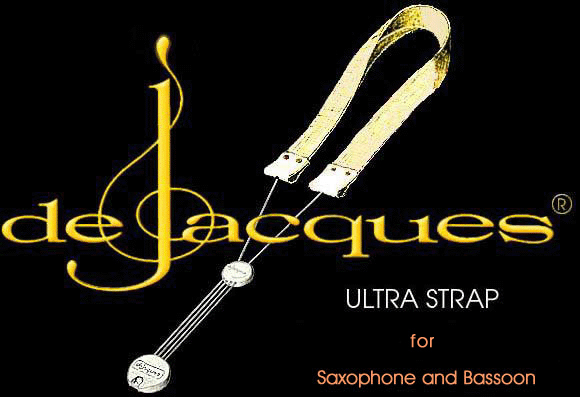 To lower instrument, pull slide downward toward clasp with weight of instrument on clasp. The HEAVY DUTY MODEL now tests to 110 pounds tenisle strength. 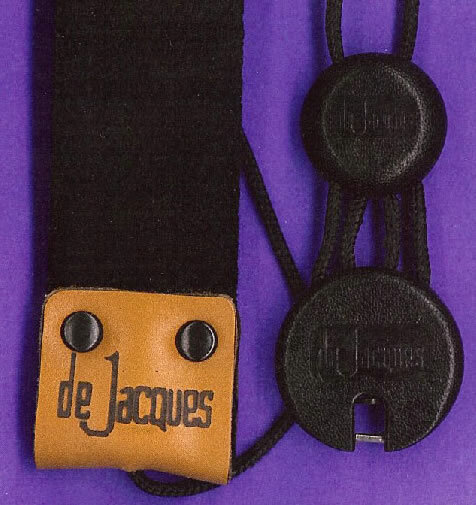 It is black with the DEJACQUES logo branded on golden-tan, oiled leather end pieces of neck band. Clasp edges are polished to a satin finish. An independent Consumer Research Company, BESTCOVERY, providing expert reviews and rankings, picked DEJACQUES number ONE. For a limited time, the Award Model will be available on this website.